Wangan Midnight Expressway Forums -> Post your Ricer Photos and Experience here! 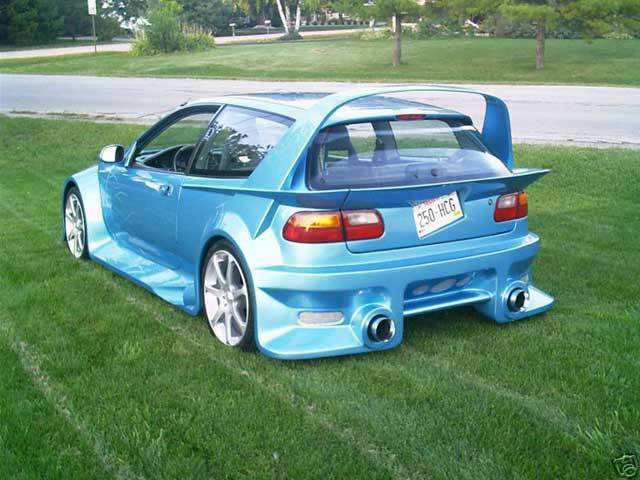 Post your Ricer Photos and Experience here!, Ricers, do they ever grow up? post anything that has to do with a ricer. The "ricer" attempts to make their car "performance" by adding the modifications listed above. These ricers are not confined to any one ethnic group or color, however different ethnic groups are known for certain styles. read the source above the pic. And the twin muffler....That's fake :P Only 1 muffler is working and the other one is....glue? that's Indonesia's finest public transport (I'm serious). That suspension won't survive the roads of Indonesia. I like the design of the Lancer and the Honda. Yes I'm a guy, and the Hello Kitty car is cute. I wouldn't drive it though. lancer doesn't look rice to me. and can you guess what the heck is this car? i think some people need to get theor definitions right. no ricer on this earth has expensive wheels. and that just one thing wrong there. for me to take a **** on. is slanted license plates the next big thing? they do that because they don't want to be identified by traffic cameras. ^This is my car a replica of the real car. Most people do try to race me and make fun of it. I really don't care and already knew it was coming when i got it. ^Here's a picture of the real car from 1990. I'm sure when i paint it black it would look really good.